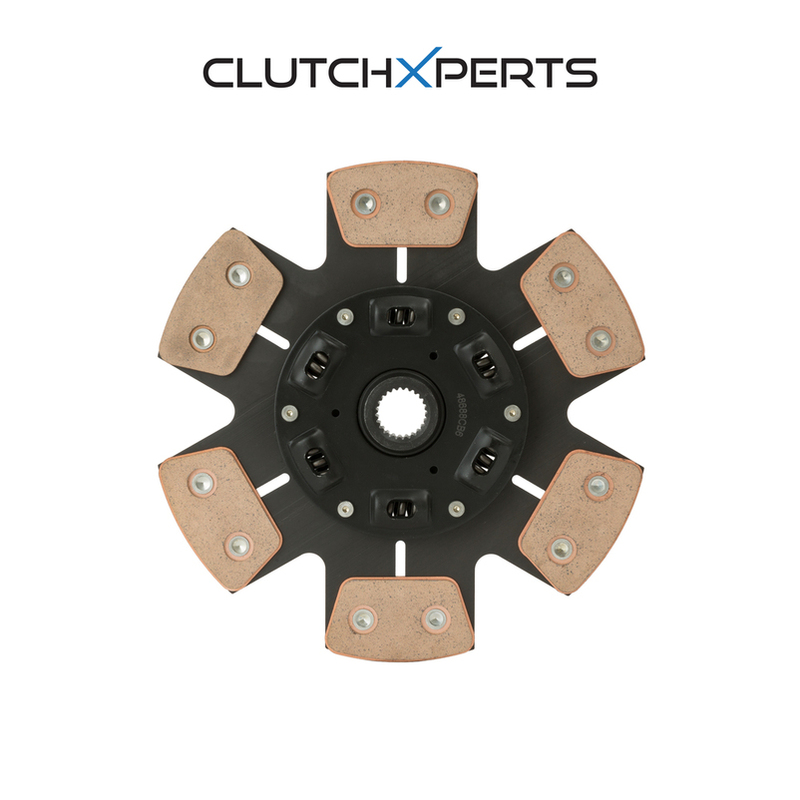 CLUTCHXPERTS STAGE 4 COPPER CERAMIC MIBA SPRUNG CLUTCH DISC is designed and manufactured for high quality and superior performance. This clutch disc is great for replacing existing stock or aftermaket racing disc for modified applications. The disc is made of from copper ceramic Miba combination for ultra grip. Miba is same material used as Aircraft Brakes. It is approved and has major portion of after-market supply for their superior quality, better performance, high quality, safety and reliability.